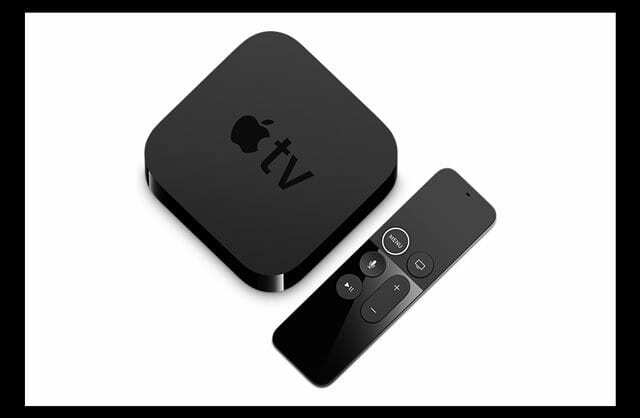 The Apple TV has become an extremely great option for those looking to cut the cord. Apple has recently launched the Apple TV 4K, which gives you the best image quality possible while catering to those who own 4K televisions. In today’s day and age, traditional set-top boxes are being thrown to the side. 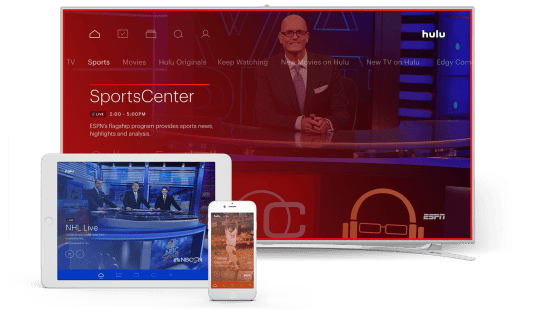 This is due to the explosion of streaming services, making it possible for you to save a few bucks and rely only on your home internet to watch your favorite content. 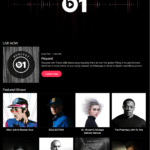 While there are some channels that offer separate subscriptions (i.e. HBO, Cinemax, Starz), we are seeing more full-replacement streaming services launch. The latest of these comes from the folks at Google via YouTube TV, but today, we’re taking a look at a few different options. Kicking things off, PlayStation Vue launched back in 2015 in limited markets. Since then, Sony has expanded not only the market coverage, but also the different number of channels that are available. The jump between different levels is significant until you go between Elite and Ultra. The difference here is the Ultra PlayStation Vue includes HBO, Showtime, and EPIX hits. Meanwhile, the Elite level requires you to purchase those options as Premium Add-ons. 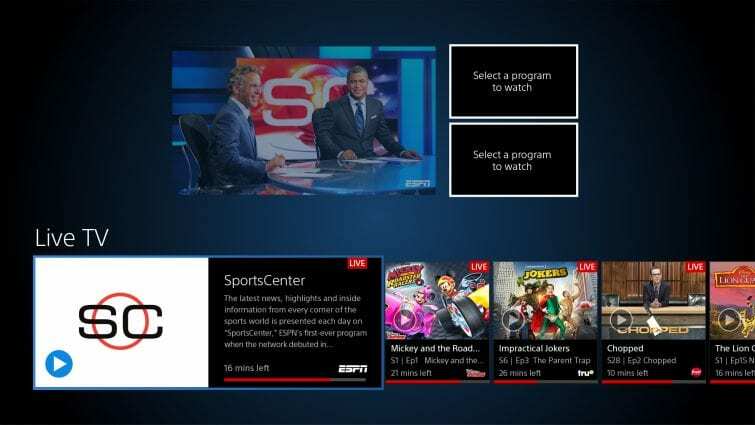 In addition to the four different plans to choose from, PlayStation Vue offers a few extra goodies. There are various add-ons, such as the Sports Pack, or you can add specific movie channels such as HBO, Showtime, Cinemax, and others. Finally, PlayStation Vue includes a Cloud DVR, which allows you to record as much content as you would like. This content will be stored for up to 28 days, before it is automatically deleted from the cloud. If you want to give PS Vue a spin, you can sign up for a free 5-day trial. Hulu has been one of the best options on the market for those who want to catch up on their favorite TV shows. Then back in May of last year, Hulu with Live TV launched. Unlike other options on this page, Hulu only offers one plan which is priced at $39.99 per month. From there, you will get access to more than 50 channels, which include some of the most popular options. This monthly cost will also give users access to Hulu’s Streaming Library. This means that you’ll likely never run out of content to watch, and can catch up on your favorite shows. There are some Premium add-ons from HBO, Showtime, and Cinemax, which range from an extra $8.99, all the way to $14.99 per month. Hulu has also included a Cloud DVR feature, which allows you to store up to 50 hours of content. Hulu is offering a free 7-day trial before you have to spend your hard-earned cash. Many folks will be getting acclimated to DirecTV Now in the coming months. This is due to an excellent deal which required you to pay for 3 months of service and in return, you’ll get a free Apple TV 4K. DirecTV Now is a venture between DirecTV and AT&T, after being launched back in November of 2016. In December of 2017, AT&T claimed there were over 1 million subscribers. 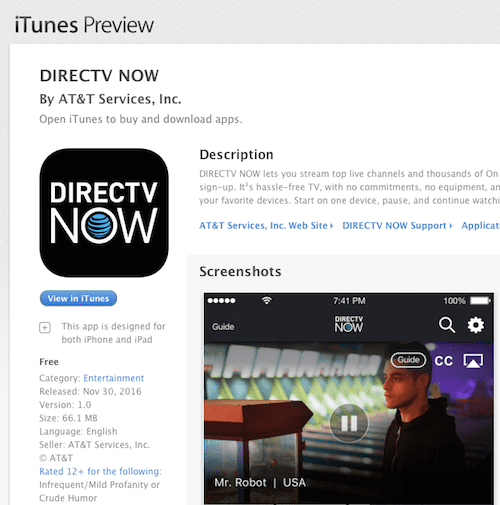 You can also use the DirecTV Now login to use with the various standalone streaming apps. This means you’ll be able to watch content from NBC, CBS, Fox, and others just by using your DTV Now login. For those who want to test the waters, DirecTV Now offers a 7-day free trial. 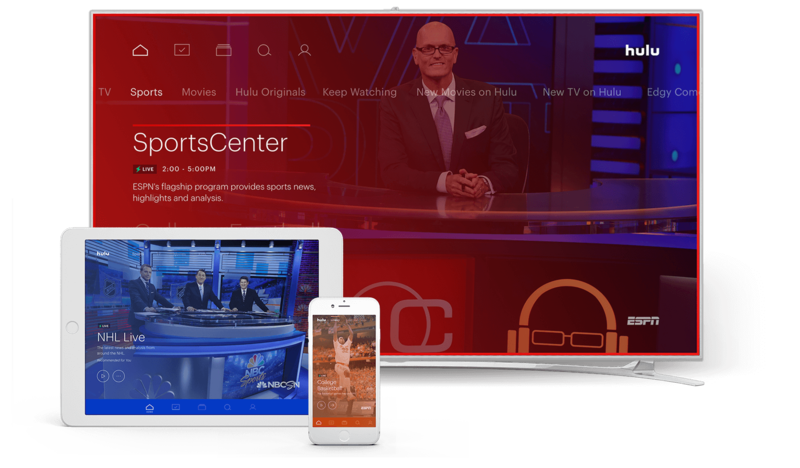 Sling TV is another option that has been on the market for quite some time. Some could say that Sling was one of the catalysts to allow users to truly cut the cord. Pricing for Sling TV may be a bit odd at first glance as there are just three options. Sling TV Orange his priced at $20 per month, Sling TV Blue is $25 per month, the Sling TV Orange+Blue is $40 per month. Sling TV Orange offers 30 different live channels, while the Blue subscription offers 45 channels. However, with Blue, you won’t get channels such as Disney or ESPN. Instead, you will be able to stream on multiple devices, while Sling Orange only allows for one device. Sling Blue + Orange is the best of both worlds, as you get all of the channels offered by Sling TV. You’ll also be able to stream on up to three devices at the same time. If you want to give Sling TV a spin, the company offers a 7-day free trial. The final option in today’s lineup is the latest to join the cord-cutter lineup. YouTube TV launched in April of last year, and comes directly from Google. Currently available in 80 different markets, YouTube TV is continuing to grow. 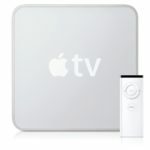 In fact, support has recently been added both the Apple TV and the Roku Ultra/Roku Streaming Stick+. As for pricing, things could not be any more simple, as $35 per month gets you over 50 channels. There are just a couple of add-ons, coming in the form of Showtime ($11/month) and Fox Soccer Plus ($15/month). On Feb 23, Google announced an increase to the pricing for Youtube TV and added additional options for Sports Lovers. 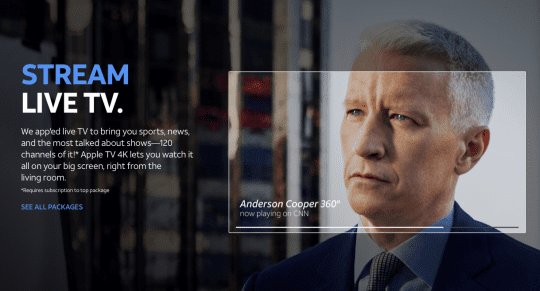 One appealing aspect of YouTube TV is its Cloud DVR functionality. Google claims you can record as much content as you want to, and the DVR will keep the content for up to 9 months. Those looking to test out YouTube TV can sign up for a THIRTY DAY free trial. This is by far the longest of the group. It’s really tough for someone to say which live TV streaming service is the best for everyone. You may have needs that others won’t, and vice-versa, which makes this tough. If you’re looking for the most robust system while cutting the cord, you’ll probably want to opt for PlayStation Vue or DirecTV Now. This will get costly every month, but could still be a viable option if you really want to get rid of the cable boxes. YouTube TV has a slight edge in the fact that it includes a subscription to YouTube Red. This will remove all of the ads from your YouTube videos, while also providing some extra perks. 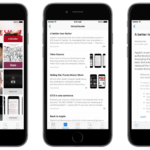 You also will save $10 per month, as that’s the price of the Red subscription. For those who don’t want all the extra frills, Sling TV and Hulu Live TV are probably the best options. Hulu gets the edge here due to the fact that you get access to the company’s entire streaming library. This one was tough due to the fact that ESPN is offered by all streaming services. However, the soccer buffs out there will want to look at either PlayStation Vue or YouTube TV. The reason for this is due to the fact that you can add-on Fox Soccer Plus to either service. Pricing for FSP is the same $15 per month for both platforms, and you will still get your basic Fox Sports 1 and ESPN channels included. YouTube TV is also becoming a formidable competitor when it comes to sports viwership. Google has targeted sports fans with its TV ads this year. Ninety-six percent of YouTube TV’s ads on television so far this year have appeared during sports programming, including the Super Bowl, according to iSpot.tv, which tracks TV ads. Google will now support MLB Network and NBA TV soon. If you’re someone who loves watching movies, and original series’ like Game of Thrones, then DirecTV Now is going to the best option. 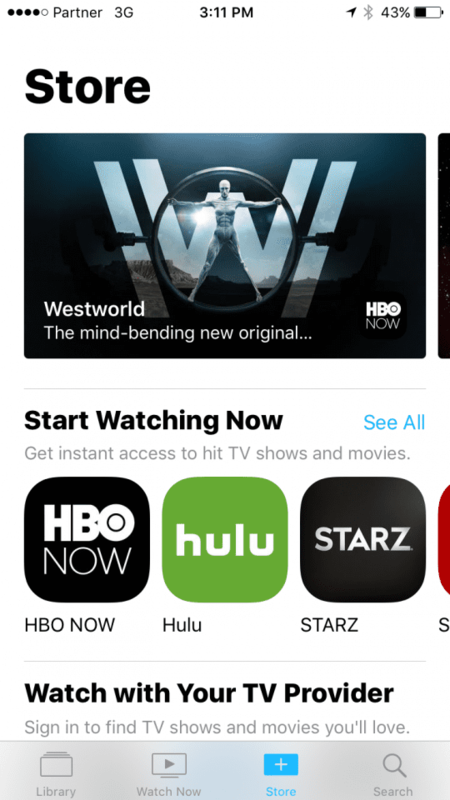 While all of the other streaming platforms offer the ability to at least add HBO and Cinemax to the mix, only DirecTV Now offers both aforementioned options and Starz. The best part about this is the fact that DTV Now only charges subscribers $5 per month for both HBO and Cinemax, and $8 per month for Starz. When comparing to other options, the next best option would likely be PlayStation Vue. This is thanks to the different bundles offered, which include either HBO & Cinemax for $21.99 per month, or Epix and Showtime for $13.99 per month. Plus, you can jump for the PS Vue Ultra subscription and get all three options included in addition to more than 85 other channels. There are a lot of different streaming services on the market, and more are likely to come in the future. However, with these five options, you will be hard pressed to find better options elsewhere. The best part is that you can use your Apple TV (or get one for cheap) and truly cut the cord. If you wanted to go the extra mile, you could pick up a Digital Antenna, connect it to your TV, and get all of your local channels over the airwaves. 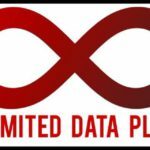 If you are not sure, try out the free subscription provided by some of these service providers and you can then choose which one you want to stick with. Let us know what streaming service you have decided on, and why you made that decision! Anyone there been watching TV for the last 20 years? Why do you think just about everyone with cable/sat owned a DVR? Time-shifting has been standard watching mode for years. And only VUE has a cloud DVR that comes close to that experience.